If you're a Go Daddy user looking for a quicker way to manage your domain names, you're in luck. 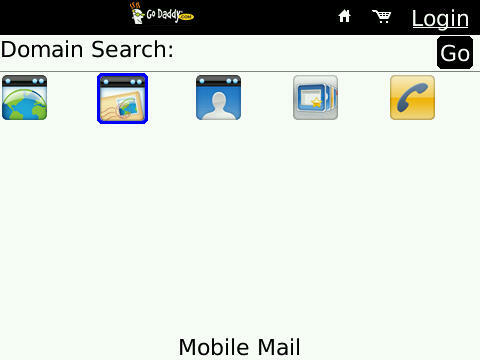 Go Daddy has just released a free mobile app that allows you to keep up with all your domains right from your BlackBerry. You can search for and register domains, manage current domains, access Mobile Mail, manage email and hosting options and more. Definitely a handy app if you have more than a few Go Daddy sites to take care of. I'm not totally sure which devices the app is intended for as I couldn't find an officially landing page, but I have it up and running on both my Tour and Bold 9700. Hit the link below for direct OTA download.